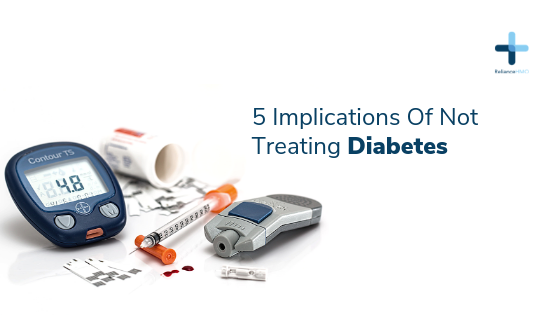 Diabetes is a group of metabolic diseases that occur when the body has extremely high levels of blood sugar. Referred to by health workers as diabetes mellitus, poorly managed diabetes has a wide range of complications associated with it. Doctors usually advise diabetes patients to increase the quality of their nutrition and exercise more to avoid complications that may creep up. Skin conditions – If you have poorly managed diabetes, you’re likely to develop certain skin conditions like blisters, diabetic rash, and sores. The skin of people with diabetes becomes thin in texture, this degradation makes them prone to skin breakage. At this stage the healing process is slow and the skin is exposed to bacterial and viral infection. Diabetic Retinopathy – This a diabetes complication that affects the eyes of people with diabetes. Poorly managed diabetes leads to eye damage by making the eye prone to disorders like glaucoma and cataracts. Retinopathy leads to a loss of vision or even permanent blindness. Cardiovascular diseases – There is certainly a relationship between diabetes and cardiovascular disease. Diabetes is a high-risk factor for heart stroke or a heart attack. High blood sugar levels also lead to heart conditions like narrowing arteries and chest pain. Nephropathy – This refers to kidney damage which is caused by diabetes. Diabetes causes damage to the blood vessels of the kidney, this hinders the ability of the body to filter out waste materials from the blood. This serious kidney disorder may increase the risk of kidney failure.